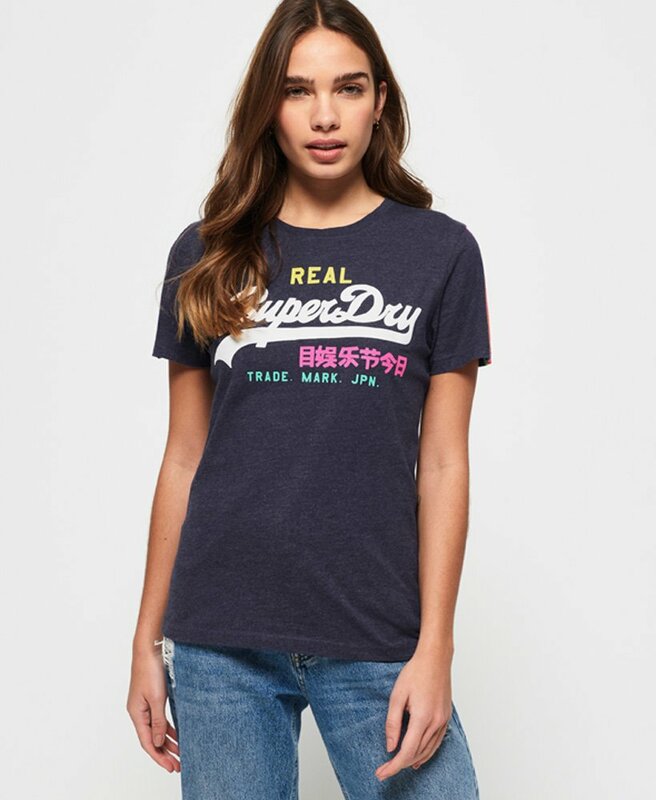 Superdry women’s Vintage logo sleeve stripe t-shirt. Inject a welcome does of colour into your wardrobe with the Vintage logo sleeve stripe tee. This tee features our signature logo across the chest with cracked effect detailing, short sleeves with cracked effect stripes and a Superdry tab on the hem. This tee would look great tucked into your favourite jeans or A-line skirt and some casual trainers.